There’s a lot of misinformation circulating the skincare industry. Some old wives’ tales surrounding your skin have been passed down through the generations entirely innocently. 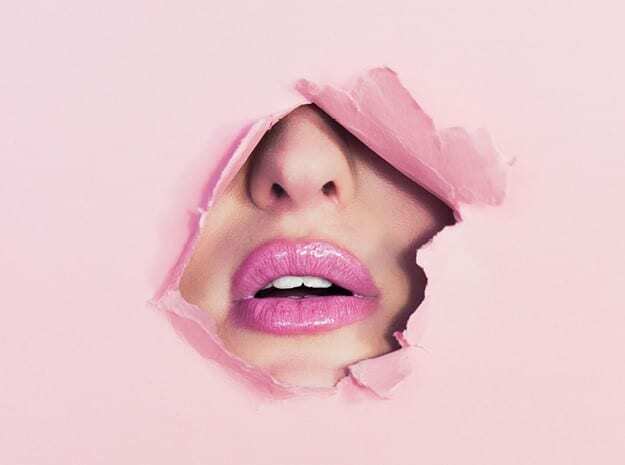 But many common skincare myths are mere fabrications manufactured as marketing messages to encourage unwitting consumers to buy the latest and greatest fad products. Wherever they come from, part of the Biologi promise is to provide consumers with the honest facts surrounding their skincare so they can make informed choices about the products they use. Keep reading as we bust seven of the most common, yet downright ridiculous, myths surrounding the care of your skin! The younger you are when you start looking after your skin the better it’s going to age. We are born blessed with an abundance of collagen, but this slows down as we get older leading to visible signs of ageing. Collagen levels drop by 1 to 2% every year until, by the age of 50, we have very little collagen left. Natural skincare products help boost collagen production to keep skin glowing and dewy from as young an age as possible. If you leave it until the collagen production has slowed right down before focusing on ageing skin, you’ll find it much more difficult to repair the damage. Quality ingredients cost money, and if a product is sold cheaply it’s usually because it’s made from inferior ingredients, which could harm your skin and health. Ever felt a stinging sensation after using a budget moisturiser? Using products that are not organic or natural may risk exposing your skin to all sorts of toxins and preservatives which could lead to long-term skin conditions. You can read more about the implications of long-term use of budget skincare here. Exfoliation should be a gentle process of lifting off the dead skin layer. Simply scrubbing away at your face with abrasive products will not only remove the dead cells but it will also take with it the oils that keep your skin hydrated. Rough scrubbing will also damage healthy cells, often sending them into a state of metaphorical panic so they start over-producing oils to compensate which could lead to acne. Consider enzyme exfoliation as a gentler approach and always treat your delicate skin cells with the care they deserve. The sunscreen in foundations and creams usually has an SPF of 15. Sunscreen works by offering protection for the time the SPF states. If you would typically start to burn after 10 minutes of exposure, then an SPF of 15 will allow you 15 times longer in the sun. For your make up to be useful as an effective sunscreen, you would have to keep reapplying your makeup as often as you would sunscreen which, in the case of foundation, is just not practical. We recommend applying a quality sunscreen specifically formulated for the face with an SPF of 50 before applying makeup to get the full daily protection you need. While the inflammatory skin condition known as acne may result in pimples, blackheads, whiteheads, and cysts, it is not caused by dirt. It’s a reaction to the hormones (often produced in puberty) causing the sebaceous glands at the base of hair follicles to overproduce sebum (natural oil), which can result in blockages. While proper cleansing with a mild natural product to clear away dead skin cells is essential for acne sufferers, it’s rectifying the hormone imbalance rather than the cleansing that will cure the acne. Acne can also occur as hormonal levels change during pregnancy, menopause or when using oral contraceptives. Yes, it does, IF you use products made from natural ingredients that are 100% active. Adding synthetics to naturally derived products to make them work can render them ineffective which is why this myth has held so much ground over the years. Biologi serums are made from pure plant serum and contain powerful phyto actives that work in synergy to give positive skincare results for the consumer without use of a single chemical or added ingredient. While that tight feeling you get as you step out of a hot shower might make you feel as if your skin is thoroughly cleansed it actually means the opposite. This is a sign that you’ve over-cleansed and stripped the skin of the natural oils that encourage hydration. As a result, the tightness is a sign that it needs external hydration to function in its natural state. Keep showers cool and use natural serums to promote the skin’s natural hydration processes from within rather than obstruct them from the outside. Don’t believe everything you hear! To separate more facts from skincare fiction, follow Biologi today.